In 1926, Congress established Rte 66, a highway from Chicago to Los Angeles to provide a way for people could travel west to the promised land of California. During the 30's and 40's, many a traveler made the trek west for a better life and Rte 66 was given the nickname of the Mother Road. Many of those early travelers may tell you of the scenic beauty of the highway but they will also tell you about the great people of Rte 66 that aided and assisted them on their trek to California. In the 50's and 60's, America was experiencing a post war economic boom and that coupled with major improvements of the automobile, many people began taking motoring vacations. They took to the road in vast numbers and Rte 66 became a major tourist destination and Rte 66 became more than a highway, it became a way of life. People who traveled Rte 66 in earlier years returned and brought the kids with them to introduce them to the road and its wonders and share their experiences of westward migration. While traveling the highway, many listened to the car radio. When you stopped to grab a bite, there was always a jukebox. Both were playing the music of the day. Rte 66 Radio is the next best thing to listening to the car radio or the diner jukebox. We play the music you listened to back in the glory days of Rte 66. 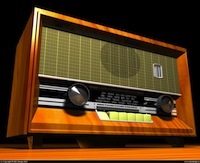 Rte 66 Radio Station enjoys playing your types of oldies music 365 days a year. Our special passion is for the music of the early 50's and 60's. The music from that era was simpler reflecting a time when our lives were simpler and evokes those memories of traveling the Mother road. That is why Rte 66 Radio is dedicated to keeping that music alive through online webradio and live events. So enjoy the music and Thanks for listening to Rte 66 Radio Free Online Oldies Radio Station.